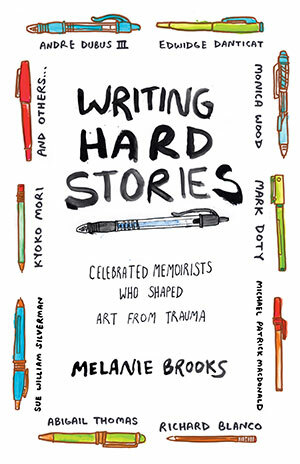 Some of the country’s most admired authors—including Andre Dubus III, Mark Doty, Marianne Leone, Michael Patrick MacDonald, Richard Blanco, Abigail Thomas, Kate Bornstein, Jerald Walker, and Kyoko Mori—describe their treks through dark memories and breakthrough moments and attest to the healing power of putting words to experience. What does it take to write an honest memoir? And what happens to us when we embark on that journey? Melanie Brooks sought guidance from the memoirists who most moved her to answer these questions. Called an essential book for creative writers by Poets & Writers, Writing Hard Stories is a unique compilation of authentic stories about the death of a partner, parent, or child; about violence and shunning; and about the process of writing. It will serve as a tool for teachers of writing and give readers an intimate look into the lives of the authors they love.